A Solar ground mount system. Solar Panels installed on a flat roof. Solar panels are a clean and reliable source of power and once installed they generate zero pollution with immense benefits. Benefits of Solar PV – Is this for you? Put simply, Solar PV technology converts energy from the sun into electricity using a Photovoltaic process. Daylight (energy) hits the solar panel which then creates an electrical charge across a semi conductor (silicon). 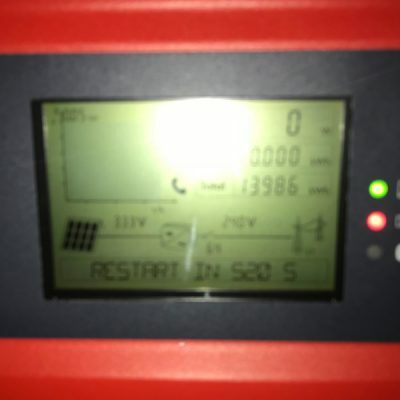 The charges created by all the solar panels are then run through an inverter. This inverter converts the solar panels power into usable AC power to run appliances and equipment (as demonstrated in the diagram above). The stronger the sunshine, the more electricity is produced. However solar panels don’t need direct sunlight to work – you can still generate some electricity on a cloudy day in Yorkshire. Any unused power will be exported into the national grid. The lucrative Feed in Tariff incentive scheme which you can read about on our solar PV feed-in tariff section, makes payments for every kilowatt generated whether it is used or not. The cost of solar panels vary significantly depending on their efficiency and quality. Norcroft will visit the site you are interested in having the solar panels installed. 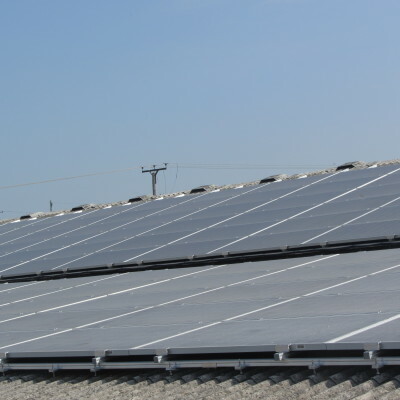 This is a free no-obligation site survey where we will assess the best position for the solar panels to be installed, assessing the most suitable solar panels, inverter and mounting kit for the site specific job. Solar panels can be installed as a retrofit on a roof, integrated in a roof, ground mounted or installed on a flat roof. 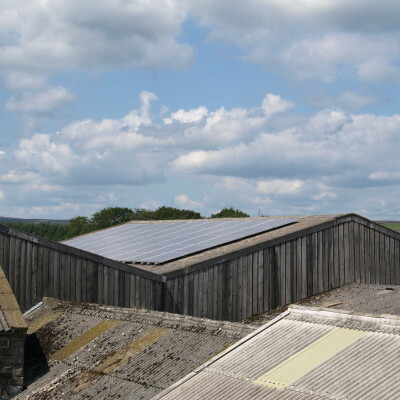 Ideally a solar PV system should face between south east and south west and be free of shade. Nearby trees, chimneys, and TV aerials are all common causes of shading and should be accounted for before any installation. For the best performance the solar panels should be angled at 30 to 45 degrees although with high performance solar panels you can still catch a reasonable level of sunlight within angles of 10 – 60 degrees. Solar panels require little maintenance but it’s recommended we come and check the system regularly as part of our ongoing after sales support to ensure you are getting the most from your solar PV system. The other parts of the system such as the inverter may require more regular checks to ensure maximum efficiency. Click here to read more about our solar maintenance packages. For more information about the latest tariffs why not contact us for a more detailed chat to understand if a Solar PV technology is a good fit for your needs. Does my property require an energy efficiency survey? One of the key changes that has affected the lucrative FIT scheme since it was launched is the new energy efficiency survey requirements for new solar PV installations to establish the level of FIT payment. You are required to send to your FITs supplier (electricity provider) an Energy Performance Certificate (EPC) showing that your property has an EPC band D or above at the time of your application to get the standard rate of FITs rather than the lower rate. The UK Government wants to ensure that properties meet minimum standards of energy efficiency before it encourages the installation of solar PV. Some properties are exempt such as Listed and Agricultural Buildings. Any properties that are below the band D rating will receive a significantly reduced tariff rate. However, the benefit of the Solar PV technology can also be included in this EPC assessment which can help lift your property into a higher band. The EPC assessment will be organised by Norcroft once it has been decided that you wish to install solar PV panels. Which is most effective, a roof or ground mounted system? This really depends on the individual property. For the best performance the solar panels should be south facing and angled at 30 to 45 degrees. If this is not possible on your roof, you may consider a ground mounted system but this needs to be out of the way from any areas of shading from surrounding buildings or trees. You will get a 20 year performance warranty with the panels but they should work beyond this. You should expect the inverter to need replacing at some stage during the life time of the system. What maintenance does a solar pv system require? Solar panels require little maintenance but it’s recommended we come and check the system regularly as part of our ongoing after sales support to ensure you are getting the most from your solar PV system. The other parts of the system such as the inverter may require more regular checks to ensure maximum efficiency. Click here to read more about our solar maintenance package. What happens if I move property after my Solar PV system is installed? The system remains on the roof of the property and the new owner benefits from the lucrative Feed in Tariff and savings on electricity. Some may argue that properties sold with a PV system already fitted could increase in market value if installed correctly.